Click ‘Start’, and type the following into the search box: ‘\\rdrive.cc.lehigh.edu\’. 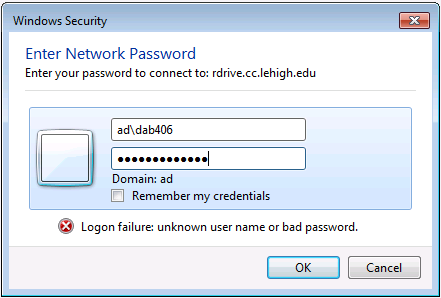 If you're asked for a username and password, enter your Lehigh credentials. (Note, pre-pending 'ad\' to your username may be necessary if your system is not joined to Lehigh's Active Directory system). In the resulting window, you should see a folder labeled with your username. 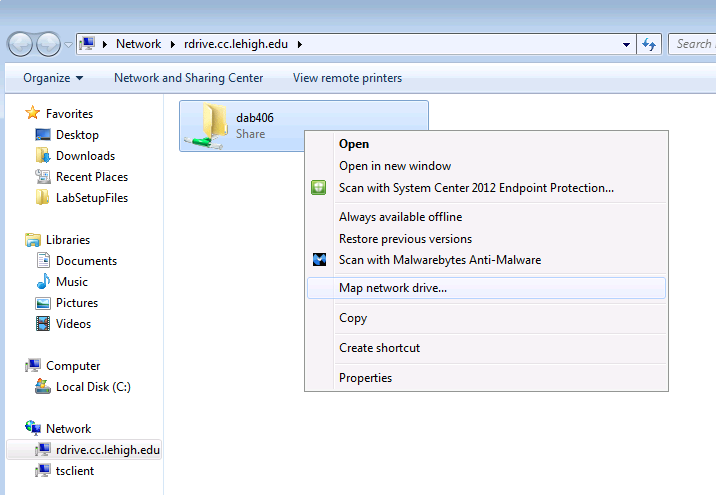 Right-click on that folder, and select ‘Map Network Drive . . .’ from the contextual menu that appears. 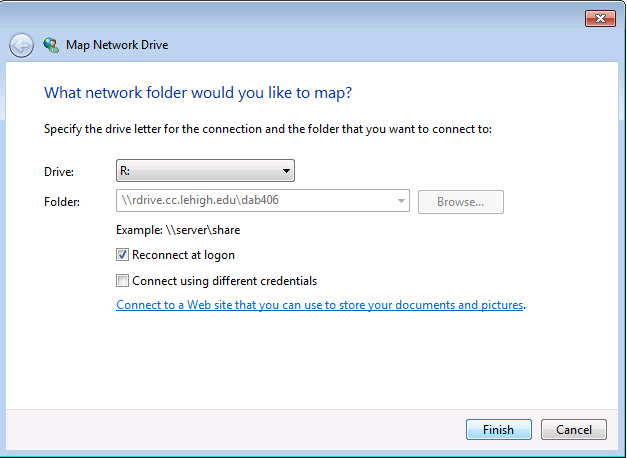 In the 'Map Network Drive' window, select 'R' from the 'Drive' pull-down, note that the 'Folder' box shows the share name (your username) appended to the server name (e.g. \\rdrive.cc.lehigh.edu\abc123), and check off 'Reconnect at logon' if you'd like that to happen, and click 'Finish'. The contents of your R-drive should appear in a new window.